Aw! 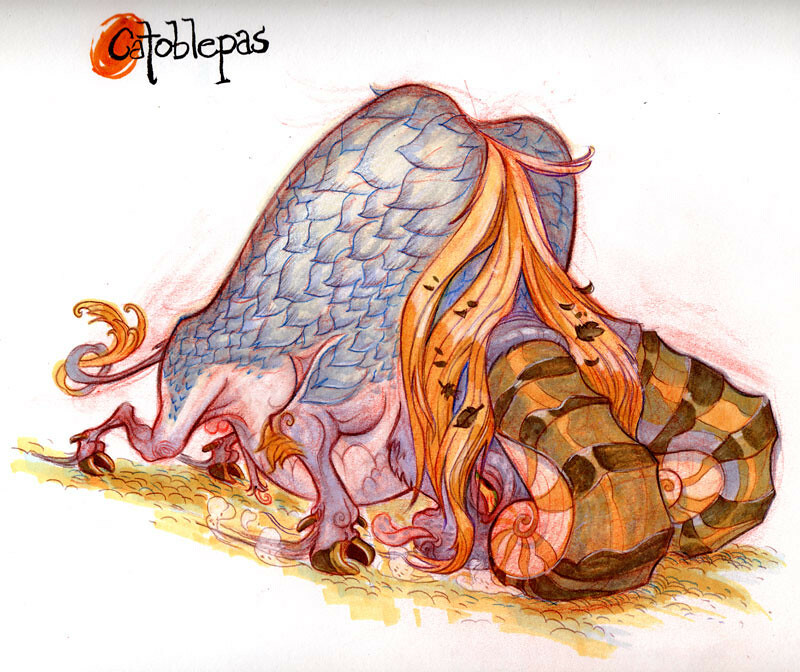 That's the BEST Catoblepas like EVER! Oh, like Dante's hell? That would be a blast and a half! That last dude is the most amazing thing ever. EVER. Thanks, we just can't compete with the Medieval imagination. These are gorgeous! Seeing your new art always makes the days that preceded your latest offering seem grey in retrospect. Well, they are grey, we do live in Vancouver. Thanks, yeah, I was thinking of getting that tattoo on my face, but thought better of it. Thanks Emily!I think these monsters would be kicked out of any club more making trouble, they're the misfits of monsterdom. gorgeous! 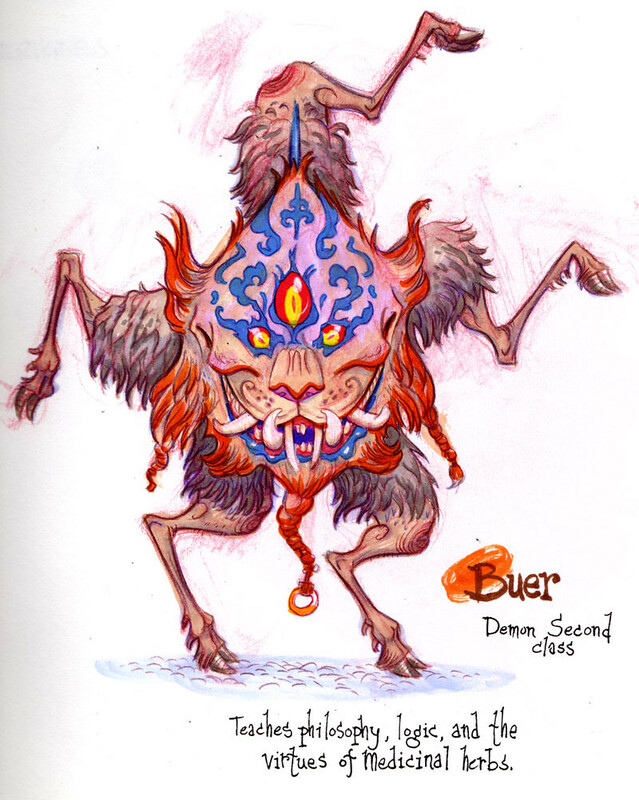 That demon reminds me of a Tibetan mask I bought in Nepal... my favourite kind of demon! I adore the female barbarian's cat buckle and her freckled shoulders and chest! Thanks, I'm all about the freckly shoulders. What a strange and colourful fantasy world. I love it! Holy shite! I totally dig these!!! Thanks, but if I ever read it upside down it would read "MOM". You've killed me T-Diddy. I ain't posting sketchbook stuff no more. I thought it was just supposed to be for fun and you keep carpet bombing the scene with this hand of god stuff. 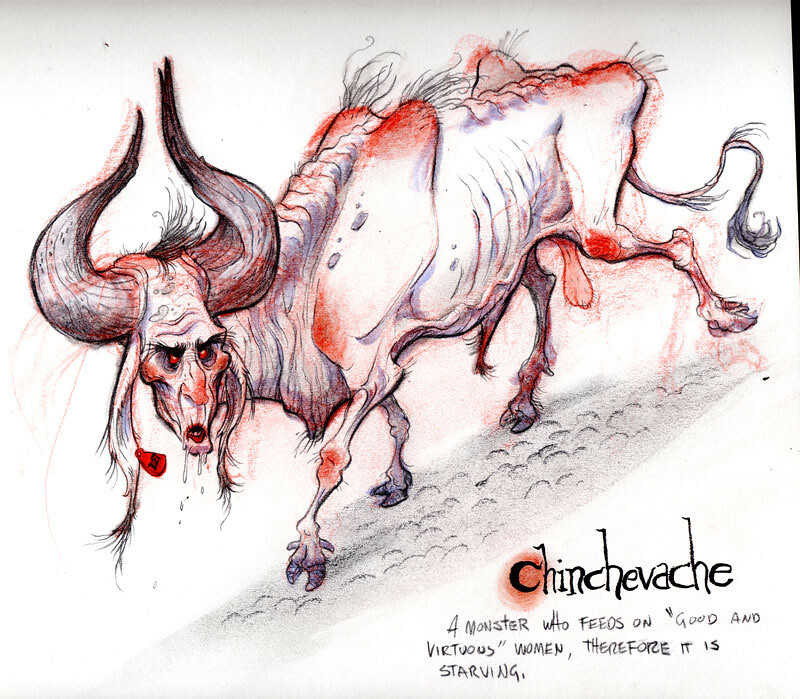 Anyways, the description of "Chinchevache" slays me (and hey, there's a pretty drawing, too), and I always want to ball your barbarian chicks (provided I'm allowed a good sprinting distance). I don't know how she'd take it, but this one reminds me of Marly Zarcone. Summarily, all this would make Goya lactate. You maintain your perch upon the jewel encrusted e-z boy of casual genius, and I scurry-scutter out, out, Out. Ha! James your comments have the poetic verve of H.L. Mencken and the raw intensity of Hunter S. Thompson. Brilliant! I also love how you give a comment by threatening never to draw again, I sure hope that is a empty threat, because you have fans my friend. BLARGH! These are wicked, those top two kill me though. Beautiful stuff as always! Thanks! And thanks for saying "wicked" it makes me feel proud to be a Canadian. I feel like if I say, "Ahhhh, I love your barbarian lady", that discounts your other work, which not what I'm trying to communicate here. But come on, you gave her a kitty-face belt buckle. So great. Effing hell, my new years' resolution is to figure out how to make my compliments actually sound like compliments. Stupid WORDS.